Affordable Painting & Papering is proud to offer Interior Painting in Glenside Pennsylvania. 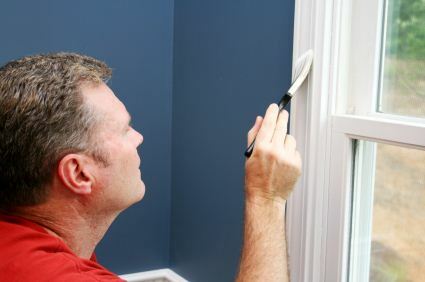 If you have ever tried painting the interior of your Glenside PA home or business, you know that it's not an easy task. Interior Painting is both a skill and an art. That's why Affordable Painting & Papering's professional interior painters must have several years of experience painting the interiors of homes and offices in and around Glenside PA and be familiar with Glenside's various interior architectural styles and building materials used in interior construction over the years. When it comes to affordable high-quality interior painting Glenside residents can rely on, Affordable Painting & Papering is the interior painting contractor to call! 5★★★★★ - "I absolutely love the the work Gary did for our home. It is beautiful! He works in a timely matter and made sure I was happy before the job was complete. I would definitely recommend Affordable Paint and Paper to my friends. Thanks Gary!!" 5 ★★★★★ - "Gary removed wallpaper in 2 rooms, repapered the same 2 rooms and constructed a chair rail in the dining room. Very please with the workmanship demonstrated. Always on time, there everyday until the job was complete, and price was competitive. Very satisfied." 5★★★★★ - "Gary provided excellent service and did a beautiful job painting the inside of our home. He has been great to work with and we are so pleased with how everything turned out, we would highly recommend him and his team and would use them again for sure." 5★★★★★ - "Very courteous, professional and reasonable price. Great work." 5★★★★★ - "I can't recommend Gary and his crew enough! They have done quite a bit of work for us and have completely exceeded our expectations every time. They have stuck to their quoted price even when the job became much more involved than anyone anticipated, even coming on Sat and Sundays. This is now my go-to company for any job we need done!!" 5★★★★★ - "Gary and his team are stellar examples of professionalism and craftsmanship. My stucco house was gray and covered with mold. Gary assessed the problem, cleaned the gutters, power washed the house and painted. I love that my house looks new and bright. Thank you Gary and the Affordable Paint and Paper Crew!" 5★★★★★ - "Very pleased with their work. Professional and very pleasant to deal with. Great work done for competitive prices. I will definitely be using their services again in the future." 5★★★★★ - "very professional at all times"
5★★★★★ - "He did a wonderful job and we are very pleased with him. He was very professional."